This is pretty, just like in the picture. Delicate bells. Don't know how good color in bells will hold up in weather, but very nice addition to my porch. Love the soft green with gold! Really pretty chimes. Love the green color and am curious what will happen as it gets exposed to the elements as it's on a screened-in porch. Very happy so far. 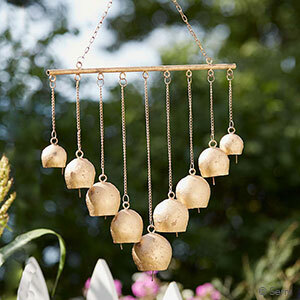 I purchased this chime as a Christmas gift that will be hung in the garden next spring. Right now we have it hanging indoors in a window, and it is beautiful. The small bells have a high pitched sound. It feels quite sturdy and I have faith that it will hold up well outside. 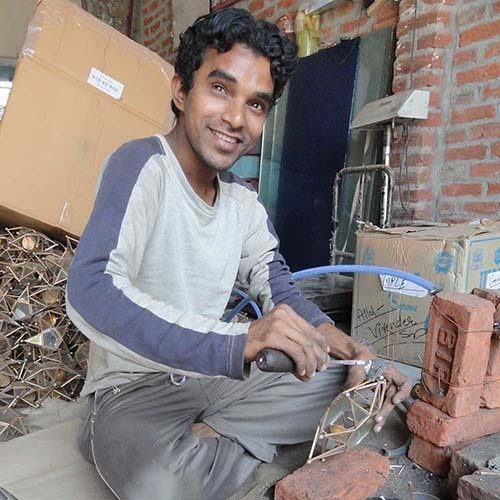 This is a beautiful and well-crafted piece! I love it! Thank you! Lovely, delicate chimes will look elegant in my daughters new home! 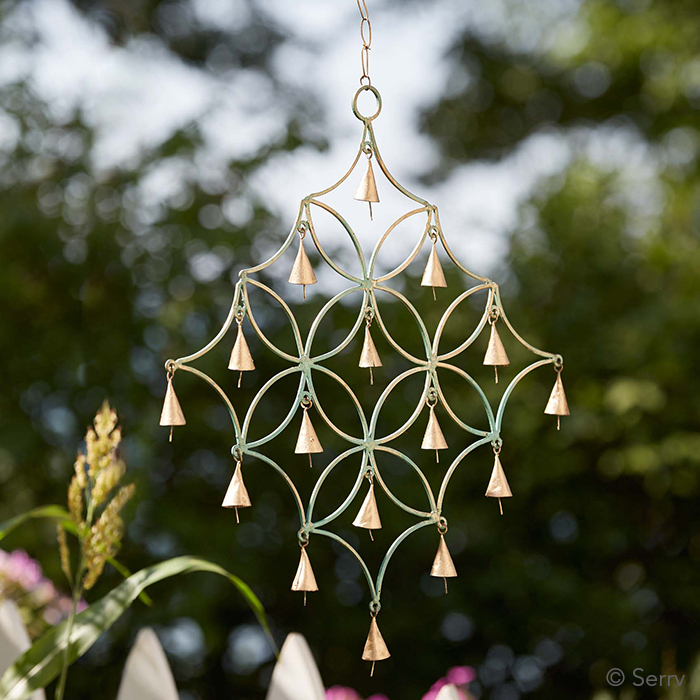 The wind chime is not only pretty but the chime is quite pleasant.